ONE OWNER RAM 2500 SLT 4WD WITH A 6.7 DIESEL. 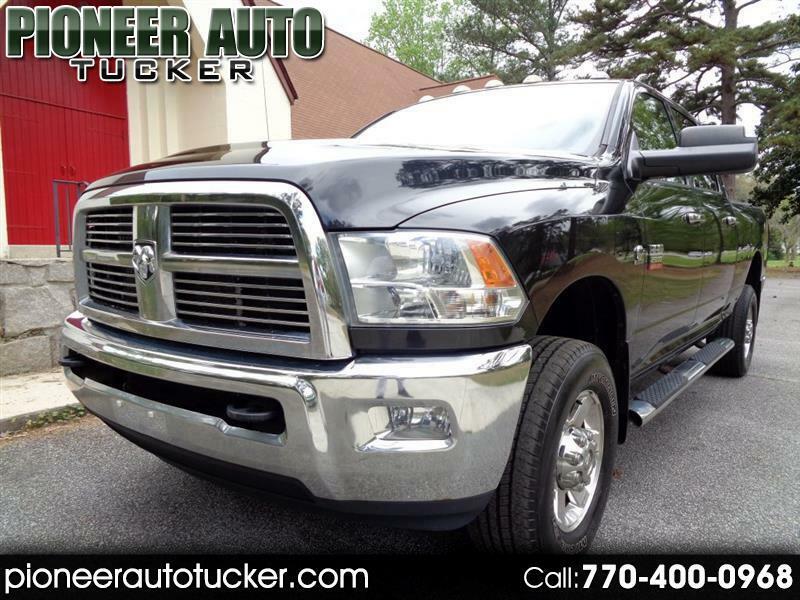 CARFAX CERTIFIED AND A HARD TO FIND ONE OWNER RAM. DODGE STORE TRADE-IN. GOOGLE PIONEER AUTO (TUCKER) TO SEE OUR AMAZING REVIEWS. FAMILY SERVING FAMILY SINCE 2007! WE HAVE GREAT FINANCING FOR ALL KINDS OF CREDITS. ***ONLINE LOAN APPS ARE @PIONEERAUTOTUCKER.COM WE'LL GET YOU PRE-APPROVED IN AN HOUR. CALL/TEXT 770-400-0968 TO GET THIS DONE TODAY!! Message: Thought you might be interested in this 2010 Dodge 2500.